Both articles suggest serious problems with public and political perceptions of what this transition is all about. 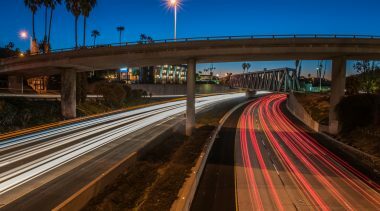 The difficulty is also reflected in a June 2017 report from the Mineta Transportation Institute (at San Jose State University), summarizing eight years of an ongoing national survey on federal tax options to support highways, transit and local roads. 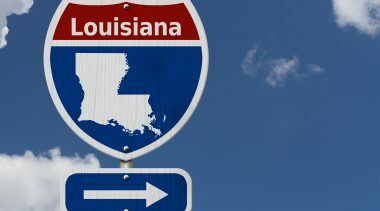 Given a choice among 10 tax increase options—eight versions of a federal gas tax increase, a new federal transportation sales tax, or a national mileage tax of one cent per mile—the last-place finisher was the per-mile tax, with only 23% support. A common element in all three cases is presenting a per-mile charge (1) as a tax rather than a user fee, and (2) as a net tax increase (rather than as an initially revenue-neutral change that would not lose purchasing power in coming years, as fuel taxes will do). A sometimes-insightful report last year from the Congressional Research Service, “Mileage-Based Road User Charges,” does use better terminology, but begins with the premise that the way forward is a single national MBUF that would replenish the Highway Trust Fund and also deliver revenue directly to the states. That’s exactly backwards from what most transportation researchers and state DOTs envision. Almost everyone sees the transition as being led by states that reach consensus on replacing their fuel tax with MBUFs, thereby working out ways of gaining political acceptance that other states—and perhaps eventually Congress—can learn from. I suggest that one problem in gaining public acceptance is the confusion between a tax and a fee. As the CRS report points out, “A road user charge that funded both highways and public transportation might arguably be seen more as a tax than a user fee.” It goes on to cite legal cases on the differences between the two. Over many decades, at both federal and state levels, gas taxes that began as pure user fees—paid only by highway users and spent only to benefit highway users—were gradually converted into all-purpose transportation taxes. The original idea of a highway trust fund was basically a promise to highway users that all the money they paid in highway use taxes would be spent for their direct benefit—users-pay/users-benefit. What we have ended up with is a very different model: highway users pay/everybody benefits. And that, I believe, is one reason why a large fraction of the population is so resistant to gas-tax increases. Instead of replicating that built-in flaw as we design the gas tax’s replacement, we should consider a different way forward. What if people’s monthly highway bill was as transparent and straightforward as their mobile-phone bill, electric bill, water bill, and cable or broadband bill? With all those utilities, you are charged based on the services you use; the funds go directly to the provider of the service; and the money is used solely for the capital and operating costs of the infrastructure used. We don’t have major political battles over a mobile-phone rate increase because the system needs to add more cell towers or upgrade to 4G or 5G. Or the need to increase water rates because the pipes have to be replaced. Changing the way we pay for our highways and bridges (by shifting from per-gallon to per-mile) offers a once-in-a-century opportunity to rethink how this vital infrastructure is managed, as well as how it is paid for. Unlike the predominant U.S. model of investor-owned utilities, what the 20th century gave us in highways is a set of state-owned enterprises, funded by taxes and governed politically. Most of Europe’s utilities were also state-owned enterprises prior to the 1980s, when Margaret Thatcher privatized electricity, natural gas, telecoms, water and wastewater, airports, and seaports—and much of the rest of Europe then followed suit (including the tolled motorways of France, Italy, Portugal, and Spain). De-politicization of those sectors led to increased and better-justified investment, better customer service, and in some cases, competition where there had only been monopoly. Yes, I know—that would be a massive paradigm shift, probably far too much to be done all at once. So let me suggest a possible first step. We already have well-accepted technology and procedures in place to do per-mile charging on one portion of our highway system: limited-access Interstates and urban expressways. Converting those highways, state by state, from fuel taxes to state-of-the-art all-electronic tolling (AET) would be comparatively simple, since we already have two working organizational models in operation: public-sector toll agencies and long-term P3 toll concessions. We already do variable pricing using AET, without raising Big Brother privacy concerns. 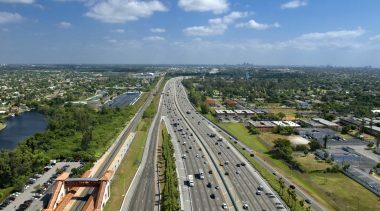 The capital markets know how to invest equity and debt (toll revenue bonds) to finance major improvement projects, such as replacing obsolete bridges or adding dedicated truck lanes We are also close to having 50-state electronic tolling interoperability—and this already exists for trucking, via Bestpass and PrePass. The Interstates alone handle 25% of all vehicle miles of travel; including non-Interstate expressways and other limited-access facilities might bring the total to 30%. That would be a serious start on the transition from per-gallon to per-mile—and the user fees would be paid directly to the roadway providers, thereby de-politicizing the process, making it more like all the other utilities we use. States could then work to develop simple, low-tech ways of replacing the fuel taxes used for other roadways, while being relieved of having to support the ongoing capital and operating expenses of the limited-access highways, now supported instead by per-mile tolling. I’ve left out a lot of details in this brief sketch, but I’m happy to tell you that I’ve recently completed a book-length treatment on this new paradigm for highways. 21st Century Highways will be out next spring from the University of Chicago Press. I will keep you posted as we get closer to the publication date. Last August, in Issue No. 154, I critiqued a study from the OECD’s International Transport Forum called “Shared Mobility: Innovation for Livable Cities.” It summarized a detailed simulation model of surface transportation in Lisbon, Portugal, in which all private motor vehicles and conventional buses were assumed to be banned and replaced by shared taxis (6-seat minivans) and taxi-buses (8-passenger and 16-passenger minibuses). They would all be centrally dispatched in response to user requests. The model’s results included large reductions in vehicle miles of travel (VMT) and CO2 emissions. Among my critiques was that shared-mobility does not provide the claimed “same level of comfort and convenience” as an individually owned vehicle and that the simulation covered only trips within the Lisbon city limits, not the much larger metro area. Well, last month ITF released a successor report, “Transition to Shared Mobility,” which extends the modeling to the entire Lisbon Metro Area (3,000 sq. km versus only 85 sq. km in the city, and 2.8 million people rather than just 548,000). It should not be a surprise that, given all the same assumptions, the results are even “better” in terms of reductions in VMT and CO2. That follows directly from the fact that private car use and average trip lengths are significantly greater in the suburbs than in the city. Moreover, the report raves about much higher transit system use and transit’s improved economic viability—but what else could you expect if private motor vehicles are banned? Although the simulation included what the authors refer to as “discretionary” trips—shopping, services, recreation, culture, family—all the report’s quantitative results about “access” refer solely to jobs. It’s hard to imagine that trips to the supermarket or the big box appliance store are faster and more convenient in a shared mini-van or a taxi-bus. Also ignored is the widespread U.S. practice of trip-chaining on the way to or from work; maybe the Portuguese don’t do this? Incidentally, average occupancy of shared taxis during peak periods is 3.0 and of taxi-buses is 4.8 (if 8-passenger) or 12.9 (if 16-seat). The design speed of the shared taxi is given as 15 km/hour (i.e., 9.3 mph). So door-to-door trip times, including an average wait of 10 minutes for “longer” trips plus the time to pick up and drop off the other occupants, cannot conceivably be anywhere close to door-to-door times in a single-occupant vehicle. It will be interesting to see what happens when the first European city tries to implement any of these scenarios. And if you think nobody would dream of suggesting such things here, I doubt that very much. East and Gulf coast port directors are happy to see that the much-larger new locks in the Panama Canal—in operation since last summer—are indeed changing the pattern of shipping from Asia to the east coast. Some larger ships are shifting from Pacific coast ports, and others are bringing larger ships to the east coast via the Panama Canal instead of the Suez Canal. Meanwhile, larger new locks are still a great struggle on the U.S. inland waterway system. The Wall Street Journal ran a large page-3 story on the $2.7 billion project that is replacing the 85-year-old locks on the Monongahela River in Pennsylvania (called the Lower Mon Project). The project began in 1994, and was supposed to take 10 years. But according to the WSJ story, it has been scaled back to provide only one new lock instead of two—and will not be completed until 2023. That’s 29 years after the project began. To be sure, federal environmental review and other permitting requirements are likely more complex than Panama’s. But there’s another major reason why Panama was able to succeed so dramatically: tolls. Customers of both the Panama and Suez canals pay tolls to use those costly locks. That permits mega-projects like this to be financed up front, with the bonds being paid off over time, as the customers derive the benefits of the much better facilities. The Suez Canal has reacted to the new Panama Canal locks by reducing its toll rates. But since the Panama Canal needs its toll revenues to pay off the bonds, it is not engaging in a price war with Suez. Rather, in anticipation of the latter’s price cuts, the Panama Canal instituted a loyalty program, giving frequent users earned discounts. It is also considering discount tolls on the backhauls of the largest ships that are at least 70% full on their incoming (from Asia) trips. By contrast with this market-based approach, U.S. port and waterway projects continue to hope for favorable political decisions by Congress and the Corps of Engineers to obtain dribs and drabs of funding for needed dredging and lock-replacement projects. Since there are far more projects than available federal funding, the result is decades-long delays in projects. In the case of waterway improvements, the barge lines go all-out to lobby against any possibility of tolls to pay for replacing ancient locks, hoping against hope for large-scale windfalls from Congress. My question is: why do those who ship commodities via the waterways continue to put up with this nonsense? Despite the claims of certain boosters, U.S. transit ridership continues to decline. The Eno Center for Transportation analyzed data from the American Public Transportation Association and found that between 2014 and 2016, ridership declined in all but seven very large urban areas. And these declines are occurring despite significant U.S. population increases of 4.5 million and job increases of 5 million. The chief reason for decreasing ridership is the decline in transit service in many metro areas. Some of this is a result of rail system cutbacks. In Miami for example, Metrorail trimmed service by one hour on weekdays and three hours on weekends. Headways (the time between successive trains) on the Orange Line will increase from 15 minutes to 30 minutes. The change is especially jarring because Mayor Gimenez ran on a pledge to increase service, but the effect of these changes is the exact opposite. In our nation’s capital, the Washington Metropolitan Area Transportation Authority (WMATA) has also reduced service. The system closes on weekend nights at 1 AM instead of 3 AM and does not open until 8 AM on Sundays. Most significantly, headways have been increased on many lines. The Red line used to operate every 2 ½ minutes during rush hour on weekdays; today it operates every 4 minutes. But while rail service cuts may get the media attention, most of the decline is due to decreased bus service. Between 2009 and 2014, bus miles of travel decreased 5.2%. In many cases bus headways increased; sometimes they doubled from 15 minutes to 30 minutes or from 30 minutes to 60 minutes. In other cases, bus routes have been replaced by rail lines. Often these rail lines provide worse (e.g., less-direct) service to transit riders, especially younger, low-income users who depend on transit to get to work. Dallas and Houston both built new light rail lines to replace existing bus lines. For several years, despite spending millions of dollars on new equipment, the new system (rail and bus) carried fewer passengers than the original system (bus only). Exacerbating the problem, the low rail ridership forced Dallas and Houston transit agencies into further cuts in bus service creating a transit death spiral of service cuts leading to lower ridership leading to service cuts leading to lower ridership, etc. The headway reductions are problematic. The Mineta Transportation Institute found that when you control for variables such as gas prices and other transportation options, bus frequency is the number one predictor of bus ridership. Put simply, decreasing bus service substantially decreases ridership, even for buses that already had low ridership. Fortunately, there are several steps that can be taken to cost-effectively improve transit service. Unfortunately, some of the changes require new thinking at transit agencies while others upset a political constituency. As a result, the pace of change is likely to be slow. First, local policymakers and transit agencies need to take a hard look at their capital expansions. Politicians love ribbon cuttings, but as the data show, new rail capital investments are extremely expensive and haven’t led to significant increases in ridership. New bus routes are much cheaper. Further, with the advent of intelligent transportation systems technology and advances in traffic systems engineering, bus speeds can be increased on major (trunk) lines. Traffic signal priority alone can increase bus speeds by 20% or more. Second, local leaders need to redesign bus networks. Some bus routes have not been changed in 20 years. Development activities and commuting patterns can change. Bus networks should be adjusted at least every five years. The reason for the reluctance to change routes is that existing customers often complain to local elected officials, putting the transit agency in a tough spot. Thankfully, some transit agencies have taken the risk. At very little cost, Houston Metro redesigned its bus network, eliminating some low-ridership routes and substantially increasing service on weekends. As a result, weekend ridership increased by almost 50%. While ridership has fallen back in the past few months due to external factors, redesigning the network in this manner does increase ridership. Third, traditional transit agencies should consider forming partnerships with private transit and technology companies. One option is to have transit agencies provide service on high ridership lines (in central business districts and along trunk routes) while private bus services and technology companies provide fixed-route service in low-density suburbs. Such companies would also provide paratransit service for the disabled. Kansas City’s transit agency KCATA partnered with Bridj, a private bus company, for these services. While the partnership dissolved, the concept might work in many U.S. metro areas. Uber has contracts to provide paratransit service to a number of regions including Atlanta and Dallas. Such contracts should be expanded. Finally, with a rapidly changing world, transit agencies need to evolve or risk becoming obsolete. The biggest opportunity is for transit agencies to shift their business model from being the operator of vehicles to being a provider of mobility services to customers. Automated vehicles are on the horizon; while they won’t reduce the need for bus service for at least 10 years, once AVs become widespread, change could come very quickly. Contracting out paratransit and partnering for some bus service is a start, but in the future mobility managers will need to do much more. They will oversee multiple transit providers each of which will operate different routes, and will help match passengers with automated Uber/Lyft vehicles. Those companies could potentially manage fleets and provide AVs on demand. U.S. transit service can be improved. But this requires transit agencies to think about their future and have the political courage to start making changes today. A recent headline in my local newspaper read, “Cars, Get Ready to Share the Lane: Sharrows Empower Bike Riders to Take Over the Road.” Despite several decades of doing transportation policy, I had never before heard of “sharrows.” The basic idea is that instead of painting a separate bike lane along the side of a road, the entire traffic lane becomes a shared lane, with special markings in the center encouraging the cyclists to ride down the middle, impeding motor vehicle travel. It’s all part of a nationwide “complete streets” movement aimed at putting bike riders on a more equal footing with motorists. My first reaction was horror, thanks to discussions some years ago with a transportation engineer colleague that putting bikes together with faster and vastly heavier motor vehicles poses serious risks to cyclists. Consultant Larry Horist, who advised Chicago on streetscapes, wrote in response to the above article that “there are many places where bikes should not be allowed,” and that one of them is in the middle of a traffic lane. Thanks to my traffic engineer friend, I located what appears to be the only empirical study that compares the performance of bike lanes, sharrows, and nothing, using a large data set from Chicago, where bicycle commuting has been on the uptrend. Nicholas Ferenchak and Wesley Marshall are civil engineering professors at the University of Colorado, Denver. Their large data set included 259 Chicago block groups that had sharrows installed, 292 that had bike lanes installed, and 1621 that had no bicycle infrastructure installed, between 2000 and 2010. They collected data on changes in bicycle use and in bicyclist injures in the “before” and “after” periods. In terms of stimulating bicycle use, the sharrow was much less effective than adding a bike lane, and less effective even than doing nothing (in a city where bicycle commuting was on an uptrend). And in terms of reducing injuries to bike riders, once again the sharrow was less effective than a bike lane or doing nothing. After performing statistical tests, they found that on both outcome measures, the difference between doing nothing and adding a sharrow was statistically insignificant. The authors’ literature review found only a single previous paper that examined data on sharrows’ safety performance. The 2013 paper by Harris, et al. found that while bike paths and bike lanes significantly decreased cyclist injury rates, sharrows increased that risk, though the sharrow results were not statistically significant. Numerous other papers assumed or found some evidence that sharrows increased bicycle usage, but did not attempt to measure safety impacts—but sharrows were far less costly for cities to implement, requiring only paint, rather than reconfiguring the whole streeet. Oregon Legislature Supports Value Pricing on Two Interstates. 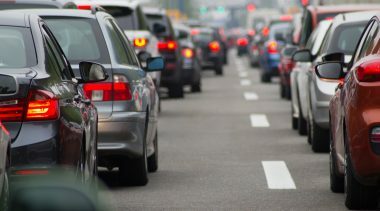 As part of a $5.3 billion transportation bill approved by both houses of the Legislature earlier this month, Oregon DOT will create a commission to decide how to make use of variable pricing on congested I-5 and I-205 in the Portland area. Once the commission decides on a specific plan, it must apply to the federal Value Pricing program for the needed permission. Options include implementing variable pricing on all lanes or adding variably priced express toll lanes to those Interstates. The revenues are intended to be used for diect congestion-relief investment, including widening I-5. Texas SH 130 Exits Bankruptcy. The rural portion of Texas toll road SH 130, between the outskirts of Austin and the outskirts of San Antonio, has exited the bankruptcy it entered last year when toll revenue shortfalls made it impossible to service the P3 project’s debt. A multinational investment group—Strategic Value Partners—bought 51% of the SH 130 Concession Company, with the balance held by the debt providers. Goldman Sachs provided new financing of $260 million. Louis Berger Services will operate and maintain the toll road. 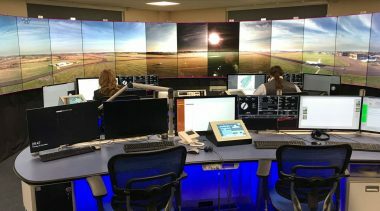 Texas to Expand Interoperability to More States. 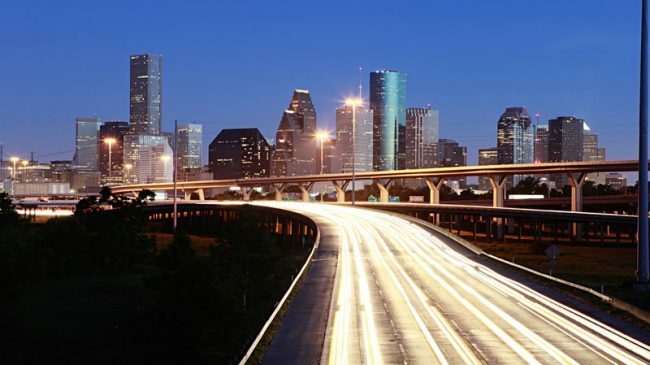 The Central Texas Regional Mobility Authority in late June approved an agreement to pursue interoperability of TxTag transponders with toll roads in Florida, Georgia, and the Carolinas next year. Also under consideration is to have Texas to join the E-ZPass Group, which provides interoperable electronic tolling in 16 eastern and Midwestern states. Competition for Amtrak Long-Distance Service. Politico reported (July 6th) that the Federal Railroad Administration is finalizing rules that will allow private passenger rail companies to compete with Amtrak on long-distance routes that have been perennial loss-makers for the government rail company. Under the 2015 FAST Act, third-party operators are allowed to run up to three such routes for four-year periods, if they can do this at a lower cost than Amtrak. Truck Stops Group Lobbies to Prevent Commercialized Rest Areas. The White House 2018 budget proposal includes repealing the long-standing federal ban on commercial services being provided at rest areas along Interstate highways (like those that exist on virtually all long-distance toll roads). The trade group, NATSO, argues that this would be unfair to all its member companies that have built gas stations, fast-food places, and convenience stores, as well as truck stops, near Interstate off-ramps and on-ramps. Current law permits only vending machines at Interstate rest areas. Full-service plazas at rest areas would be far more convenient for motorists and truckers than having to exit the Interstate and get back on after finding the needed facilities. DSRC Under Attack. 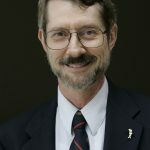 An insightful piece by Roger Lanctot presents an array of arguments against the proposed federal mandate that all new motor vehicles be equipped with digital short-range communications (DSRC) capability, so the cars can communicate with other vehicles and with smart infrastructure. Lanctot cites numerous shortcomings in the highly-touted demonstrations under way in Macomb County, MI. Check out “DSRC: The Road to Ridiculous” online at www.strategyanalytics.com. Maryland County Argues for Express Toll Lanes. The Montgomery County, MD (near Washington, DC) County Council voted 8 to 1 to approve a list of transportation priorities sent to the state DOT. Heading the list of Interstate projects is adding reversible express toll lanes to highly congested I-270 between Shady Grove Road and Frederick County. Rep. John Delaney (D, MD) has supported the call for adding express toll lanes in this corridor. Australia’s Largest Container Port Privatized. In another example of the country’s ongoing “asset recycling” effort, the state of Victoria approved a 50-year lease of the Port of Melbourne for $7.36 billion. The winning bidder is a consortium consisting of the Queensland Investment Corporation, Global Infrastructure Partners, and two public pension funds: OMERS (Canada) and Future Fund (Australia). QIC also holds a 26.7% stake in the Port of Brisbane, and pension fund IFM holds an equal stake there, while also holding 35% of NSW Ports. Working at Home Hits New Highs. Except for six major metro areas with traditional central business districts and rail transit, most other large metro areas now have more telecommuters than transit commuters. Data from the American Community Survey finds that telecommuting is especially high in metro areas with tech-related industries, such as Austin, Denver, Raleigh-Durham, San Diego, and Seattle. In San Jose, 4.6% work from home, versus 3.4% who use transit. There’s a lot more in Joel Kotkin’s June 28th piece, “Want to Be Green? Forget Mass Transit. Work at Home,” available on NewGeography.com. Giant Chinese Rail Bus a Flop. The 26-foot wide Chinese bus, running on rails over lanes of traffic, has been taken out of service in the one city where it had been demonstrated, Qinhuangdao. The tracks have been torn out and the bus is to be hauled away. According to a report on CNN.com, “the vehicle became the source of bottlenecks” on the road where it had been installed. Last year’s media hype about this being some kind of answer to traffic congestion was very ill-considered. Critique of Economic Impact Studies. We’ve all read studies claiming to demonstrate large economic impacts of a new bridge, sports stadium, or solar power project. The fallacy in such studies is that they never take into account the opportunity cost of using the dollars for this project rather than some other project that would produce greater benefits. The project only makes economic sense if the benefits exceed the costs, and if that B/C ratio is higher than that of alternative investments of the same dollars. An excellent short paper explaining these points was posted this spring by the John Locke Foundation. Go to: https://johnlocke.org/research/economic-impact-studies-the-missing-ingredient-is-economics.